In Touch EMR™ contains military grade protection to safeguard all patient information. The software is compatible with multiple browsers on PCs and Macs. The patient process begins when a client calls for an appointment. The Web-based In Touch EMR™ allows front desk personnel to obtain the necessary information and schedule an appointment online. The front desk can then create a client chart automatically with the touch of a button. The In Touch EMR™ is the only EMR technology that has its own iPad application. It eliminates paper charts, scanning documents, and filing cabinets full of records. Once a patient arrives for their appointment, they can complete the rest of their intake information with the iPad. 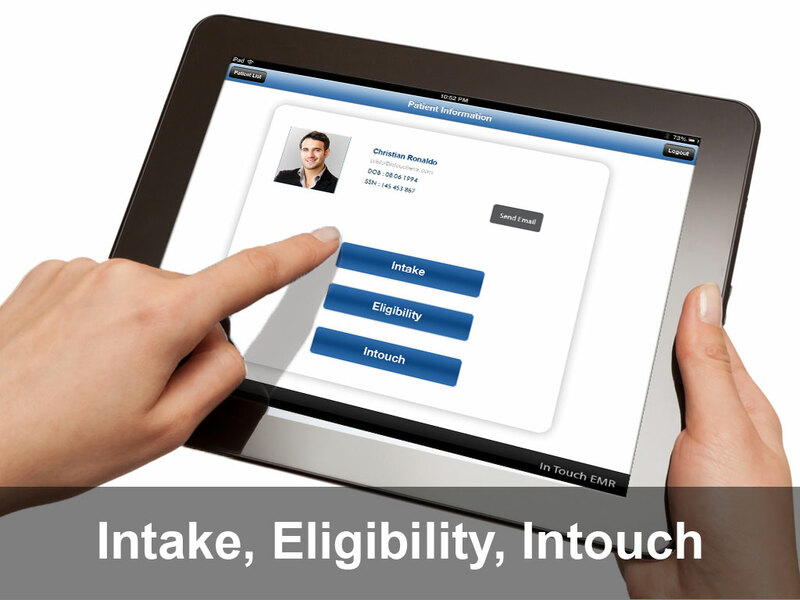 Clients can use the camera in the iPad to take a photo of themselves, their driver’s license and insurance card. The photos are sent directly to the patient’s chart that was automatically created when they scheduled their appointment. Clients can upload medical reports, referrals and prescriptions, along with emergency contacts, complaints, symptoms and medications with a click of a button. With the integrated abilities of In Touch EMR™, front desk staff can verify insurance eligibility online with hundreds of payers across the U.S. and more can be added as needed. The information comes directly from the payer, virtually eliminating claim denials. The entire process happens before the clinician becomes involved. The client’s chart has already been created automatically and contains all the needed data for the clinician. Custom templates can be generated to reflect individual practices and with In Touch EMR™, practitioners have the advantage of state-of-the-art voice recognition for documentation. 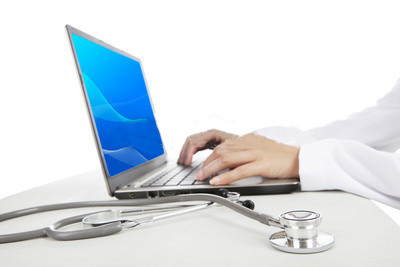 With a click of a button, clinicians can complete their documentation and it’s automatically sent to the biller. In Touch EMR™ streamlines the patient process from scheduling to billing and is the only EMR that has its own iPad app. The software automatically performs many of the time consuming tasks for which front desk staff is traditionally responsible, allowing them to focus their attention on other concerns such as marketing. The significant savings in time translates to money in the bank and a more efficient and profitable practice.